USPA NEWS - At The New York Botanic Garden will be featured, from May 16 to November 1, a rare display of more than a dozen original Kahlo paintings & works on paper. This limited six-month engagement also reimagines the iconic artist’s famed garden & studio at the Casa Azul, her lifelong home in Mexico City. 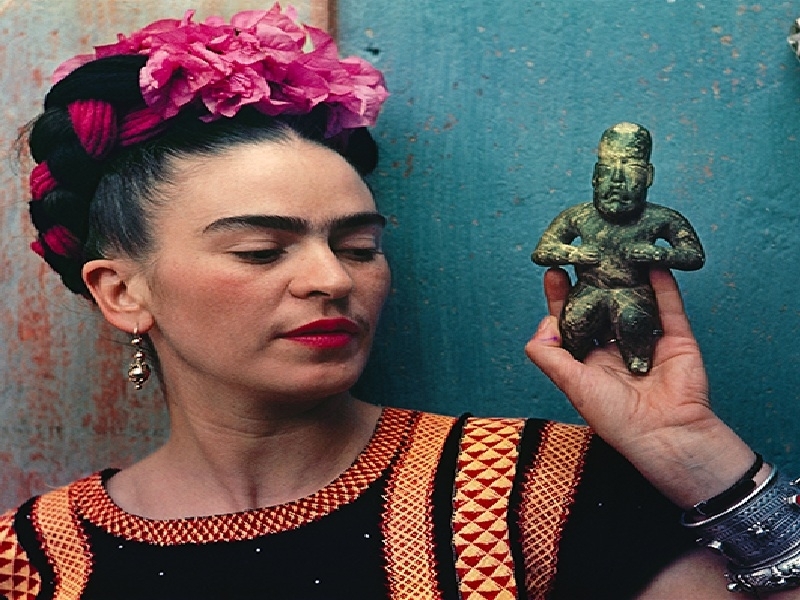 Featuring a rare display of more than a dozen original Kahlo paintings and works on paper, this limited six-month engagement also reimagines the iconic artist’s famed garden and studio at the Casa Azul, her lifelong home in Mexico City. This blockbuster exhibition is the first to examine Frida Kahlo’s keen appreciation for the beauty and variety of the natural world, as evidenced by her home and garden as well as the complex use of plant imagery in her artwork. The Library building's fourth floor features Artist in Residence Humberto Spíndola’s The Two Fridas, which brings Frida Kahlo’s famous double self-portrait of the same name to life in a three-dimensional installation. The Haupt Conservatory comes alive with the colors of Kahlo’s Mexico, greeting visitors with an evocation of the artist’s garden at the Casa Azul (Blue House), her lifelong home. This fascinating panel exhibition in the Ross Gallery presents museums and other sites in Mexico City where Kahlo’s and Rivera’s artwork and personal collections can be viewed, conveying the scope of their artistic and intellectual contributions to the cultural life of Mexico.